With Readly you can read The Official Dame Vera Lynn Souvenir Special and thousands of other magazines on your tablet and smartphone. Get access to all with just one subscription. New releases and back issues – all included. 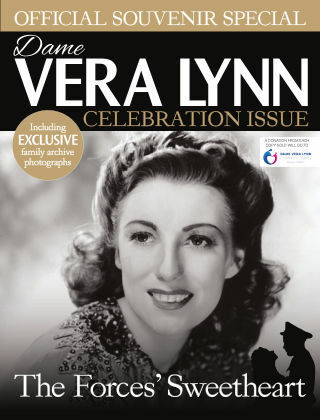 This official celebration issue is filled with photographs taken throughout the life of Dame Vera Lynn, and includes a background to her career, using exclusive, unseen images from family archives. This special edition also features the work of Dame Vera Lynn Children’s Charity, highlighting her devoted support for children under 5 with cerebral palsy. As a keen fundraiser and supporter of the Dame Vera Lynn Children’s Charity, Puzzler will be making a donation from every sale to this amazing cause.